What separates nurse practitioners with a doctorate and physician assistants? Health care is a growing industry and career field. As factors like greater insurance coverage and an older population increase spending on care and use of services, more professionals are needed to meet that demand. Skilled and knowledgeable talent is needed at every level of the health care workforce, and many students pursue a graduate education to improve their qualifications and readiness for the advanced responsibilities medical professionals encounter. A central question many face when deciding their health care futures is whether to study to become a physician assistant (PA) or a nurse practitioner (NP). Both are popular career pathways and can offer a rewarding experience, both in terms of meaningful work and salary. However, even though PAs and NPs both hold advanced degrees and work closely as medical professionals, the education tracks they take can be quite different. When deciding on which career is best for you, it’s important to compare physician assistant education requirements with those for completing a nursing program. Identifying the career path that best suits your personal and professional goals can help you decide whether to become a PA or an NP — and how to get your online graduate nursing degree. Physician assistants and nurse practitioners share many of the same clinical duties, like examining patients, collecting medical histories, performing assessments and formulating treatment plans. But despite this overlap, the two positions are distinct and different in their own rights. For example, physician assistants are generally trained through a medical philosophy of disease management. This manifests in PAs naturally devoting more attention to the pathological aspects of healthcare, like diagnosing, testing and treatment of the disease, and not necessarily the patient. 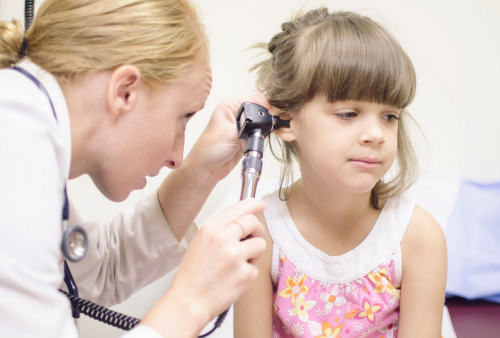 Nurse practitioners, on the other hand, are educated through a patient-centered approach. NPs view their job responsibilities through the lens of what it means to the patient. While PAs may recommend treatments informed by what he or she knows about the disease, nurse practitioners will devise a regimen tailored to the patient given what they know about both the condition and the individual. For the NP, this includes using previous patient experiences as a registered nurse to guide the care they give. PAs are also more likely to train as generalists, since they don’t need certification for certain specializations. In terms of a bachelor’s degree, many PAs have nonmedical degrees since a specific undergraduate degree is typically not required. Nurses, however, most often are required to have a bachelor’s degree in nursing. This allows nurses to draw on an extensive medical-related education. Given this, nurses are typically licensed in the area where they were trained, whether they become nurse practitioners, nurse midwives or nurse anesthetists. With the contrasts in approach, training and professional practice, students must understand the differences between becoming a nurse practitioner or physician assistant. Many students choose to become a physician assistant because PAs are routinely depended on to accomplish critical tasks like treating injuries, analyzing laboratory test results, prescribing medications and, depending on their specialty, assisting surgeons in the operating room or primary care doctors in pediatric visits. PAs can be found in a number of settings, including hospitals, community health systems, physician’s offices and independent practices. An important factor is that PAs operate with oversight from an attending physician; however, there are direct and indirect supervision arrangements. Salary and opportunity for employment are also draws to becoming a physician assistant. According to the U.S. Bureau of Labor Statistics, PAs earn on average $104,860 a year, and can make more in the right employment setting — PAs in outpatient centers can earn $111,000 annually. Of significant note is the 37 percent job growth forecast for PAs between 2016 and 2026, much greater than the 7 percent projected for all occupations by the BLS. For these reasons, a career as a PA is attractive for many students. Generally, PAs need a master’s degree from an accredited institution, which can be completed in two years. Such programs cover medicine basics like biology, pathology and ethics in medicine, among other subjects, and may require up to 2,000 hours in clinical practice to graduate. Prior experience in health care isn’t always required. Why become a DNP-prepared nurse practitioner? Nurse practitioners are advanced practice registered nurses (APRNs) who share many of the same responsibilities as PAs at the highest levels of care. These job duties include evaluating symptoms, performing diagnostic tests and delivering treatment. NPs often angle their care more toward the patient by coordinating care with other professionals, educating patients on health and consulting with them on action steps. Similar to PAs, NPs are often required to work with attending physicians, but a broad movement has been underway to impart more authority to NPs. Many states allow NPs to practice independently — for example, to care for rural and underserved populations. Another movement underway is the emphasis on the Doctorate of Nursing Practice (DNP) as the terminal degree for NPs. While licensure often only requires a master’s degree, earning a DNP ensures a nurse is equipped with the highest level of skills and education to tackle modern-day challenges and opportunities, like population health, the transition to value-based care and regulatory reforms. As APRNs, nurse practitioners are at the front lines of policy and patient care, and a DNP prepares NPs to excel in their positions. A doctorate can also help NPs shape potential future careers as nursing directors and executives. Nurse practitioners can also translate a personally rewarding career into one that pays well and has solid job security and growth. According to the BLS, NPs earn on average $103,880 a year, while those employed in hospitals can earn upward of $117,000. The agency also projected 36 percent job growth for NPs between 2016 and 2026, which outpaced growth for nurse anesthetists and nurse midwives. A master’s degree is often required for licensure as a nurse practitioner. Many students can complete an online nursing degree in two years, like PAs, but an increasing emphasis is being put on obtaining a Doctorate of Nursing Practice (DNP) for APRNs. Though the master’s may be the standard today, the industry targeted the DNP as the terminal nursing degree for advanced positions. Students who want to gain a DNP to bolster their qualifications and skills as nurse practitioners can expect programs to feature curricula rich in nursing methodologies, techniques and philosophies, as well as experiential learning opportunities, even in online formats. Gaining exposure to new patient-centered approaches and care delivery strategies can be an advantage for DNP-holding nurse practitioners in the professional world. Finding the right DNP program to match your personal needs is important, and students interested in such an online degree experience can talk to Bradley University about its online Doctorate of Nursing Practice with specialization tracks in Family Practice and Leadership. Contact an enrollment advisor today for more information. What are the benefits of an online FNP program?